Guided by our philosophy that convenience doesn't mean sacrificing quality and flavor, we've gone to great lengths to create an elevated, restaurant quality, fresh prepared meal for you. We hope to exceed your expectations, while maintaining a sustainable approach to the preparation and delivery of Eat Fresco meals. 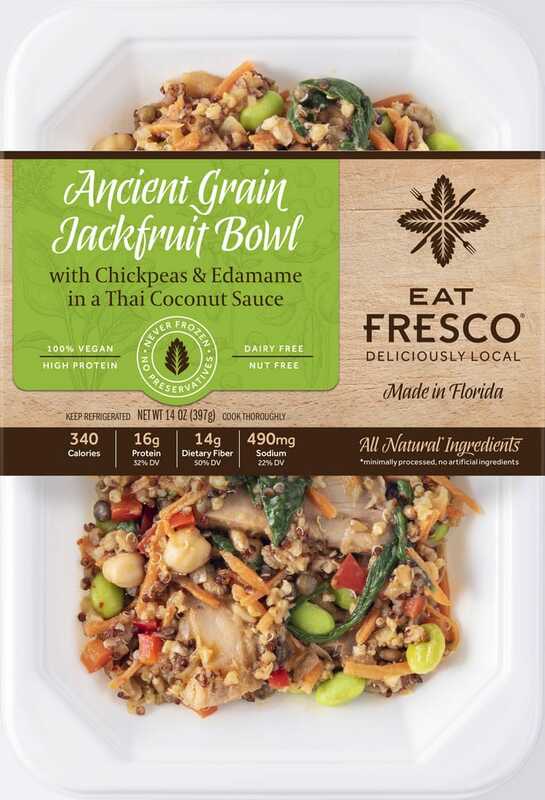 Eat Fresco brings a fresh, deliciously local offering of flavorful prepared meals for sale in convenient retail locations. Convenient and timesaving, heat and eat in under two minutes or enjoy the available cold meal options. 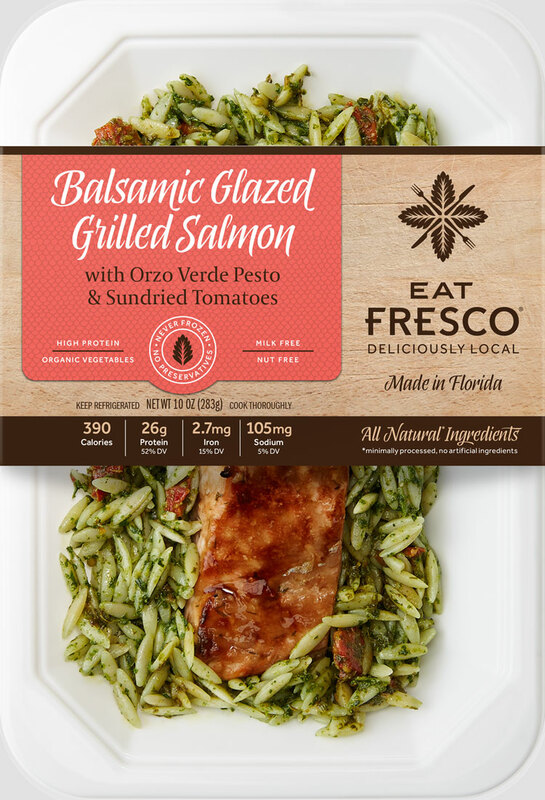 Eat Fresco values transparency, clearly demonstrated by the ability to view each meal, prior to eating, through the packaging. This innovative packaging locks in freshness and flavor, while increasing the portability of the meals. Transparency in the sourcing of our ingredients is also essential. Partnering with food providers that have wholesome rustic farming at their core, our products are made with all natural and organic ingredients in our local kitchen. Our current portfolio includes meals with a variety of proteins and cuisines. Additional meal options are in development, including seasonal items to continually keep your senses intrigued and your palates excited! We aim to provide meals that you can feel good about eating. Tasty and nutritious, the average calories per meal are under 500 and are loaded with protein! Enjoy, Indulge, Eat Fresco. We start with the idea of being deliciously local. Our products are wholesome, truly fresh, and made with all-natural ingredients (nothing artificial, no antibiotics, no hormones). We select the highest quality proteins, vegetables and ingredients. Community is important to us and by partnering with family farms we are able to maintain the highest level of excellence. 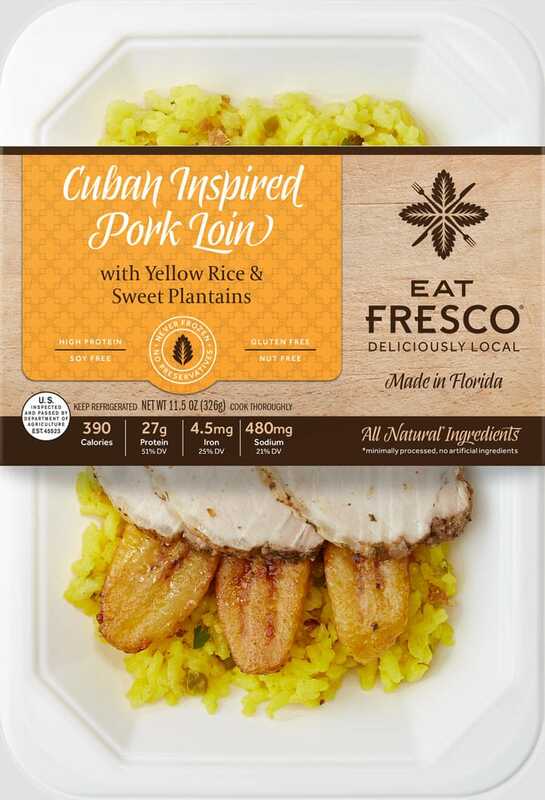 Eat Fresco's meal options are inspired by global cuisine, while maintaining a locally minded, environmentally friendly philosophy. Food is packaged in recyclable trays and distributed in reusable bins. 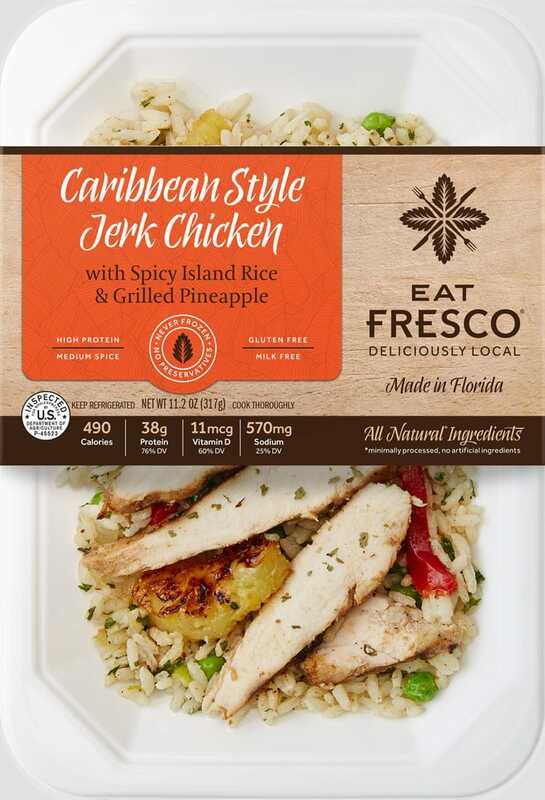 This local distribution model is unique to Fresco Foods, and unlike most packaged food products, limits our carbon footprint. 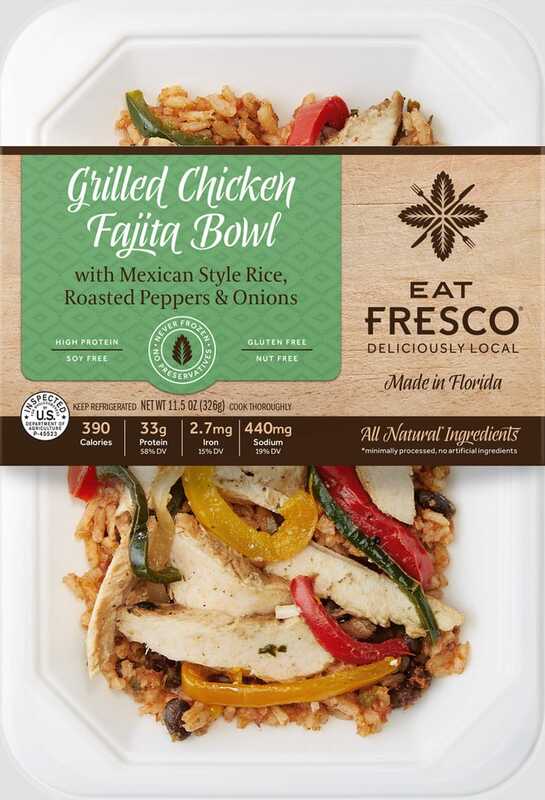 Check out some of our products to get a closer look at our delicious offerings and find out more about the Eat Fresco experience! Flavor, freshness, and food safety are words we stand by, and equally important are Convenience, Portability, and Packaging. We want to make your meal shopping as simple as possible. 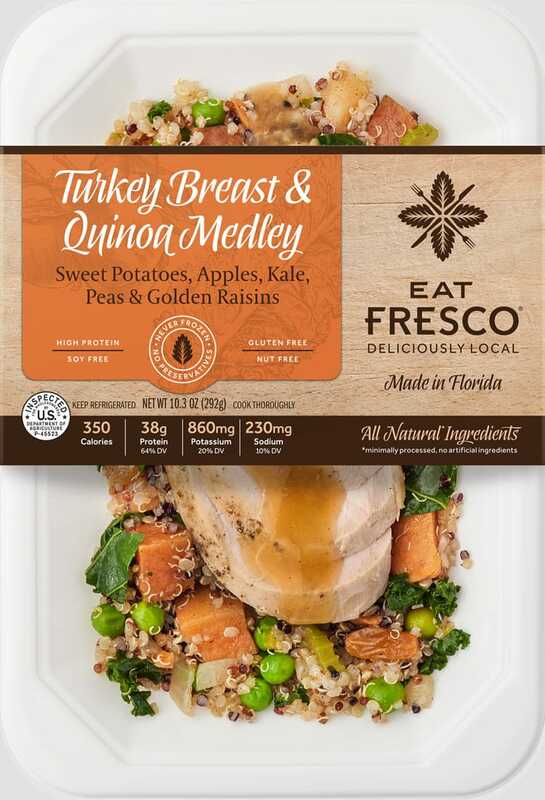 We deliver our locally made meals to a retail store near you, giving you access to our fresh, flavorful eating experience with just a quick trip to the store or easy pickup during your normal shopping. The convenience of our experience is enhanced by our products' portability. 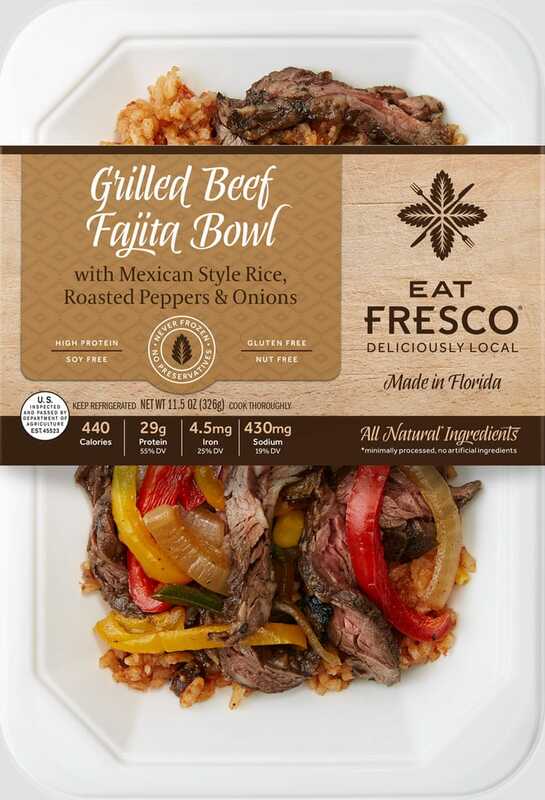 Eat Fresco's packaging is easy to store, heat and eat from, designed to use at home, work or anywhere else you desire. 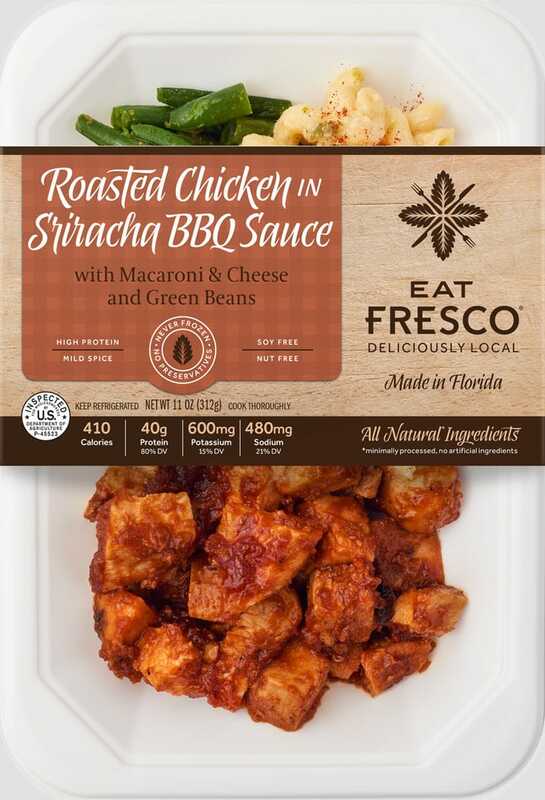 Eat Fresco products benefit from our innovative packaging techniques. Your meal is vacuum-sealed immediately after it is prepared, locking in the freshness and flavor of our all-natural ingredients. Efficient and fast, steam assisted microwave heating ensures even temperatures and great taste in under two minutes. Have Other Recipe Ideas? Tell Us About Them! We're striving to provide people with delicious, healthy, hearty meals that utilize unique recipes. We have more products coming soon, but we'd love to hear your ideas on additional recipes.